Sergeant Drew Peterson, former suburban Chicago police officer who is serving 38 years in prison for the murder of his third wife, is accused of trying to hire a hitman to kill a prosecutor who helped put him behind bars. 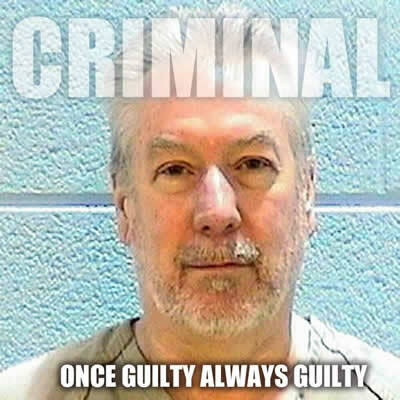 The 61-year-old Sergeant Drew Peterson is charged with solicitation of murder and solicitation of murder for hire after he allegedly tried to put a hit out on Will County State’s Attorney James Glasgow, who led the prosecution team in Peterson’s 2012 murder trial. Illinois Attorney General Lisa Madigan said Peterson appeared in court Monday and was informed of the charges against him. He is scheduled to appear in court for a preliminary hearing on March 3. In February 2013, Sergeant Drew Peterson was sentenced to 38 years in prison for the 2004 murder of his third wife, Kathleen Savio during a contentious divorce. Savio was found dead in a bathtub, and her death was at first ruled accidental. Suspicions were raised when Peterson’s fourth wife, Stacy Peterson, disappeared in 2007.